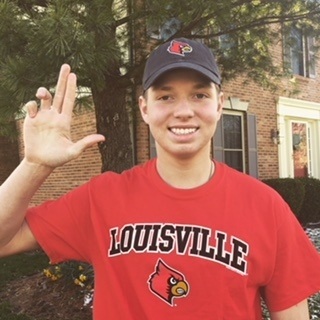 Griffin Manning of West Chester, Ohio has announced his verbal commitment to swim for the University of Louisville in 2018-19. He adds his name to a prospective class of 2023 that also includes commits Colton Paulson, Hayden Curley, Kyle Worrell, Mitchell Whyte, and Tanner Cummings. Manning is a senior at Lakota West High School; he swims year-round with Mason Manta Rays. In his final high school season, he finished sixth in the 100 breast (56.44) and contributed to the Lakota West medley relay (25.22 breaststroke) that finished 11th at the 2018 OHSAA Division I State Championship in February. The following month he had an outstanding meet at TYR ISCA Junior Championship Cup. 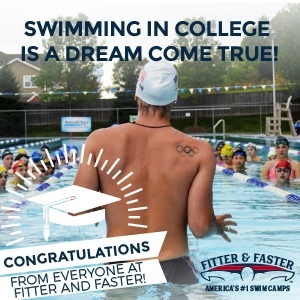 He lowered his personal bests in the 50 free, 200 free, 50 breast, 100 breast, 200 breast, and 100 IM, placing fourth in the 50 breast, sixth in the 100 breast, and 12th in the 200 breast. Manning will join Louisville’s breaststroke group, led by freshman Evgenii Somov, who won the 100 breast and 200 breast at 2018 ACC Championships, when he suits up next fall. The Cardinals are graduating ACC scorers Carlos Claverie, Jonathan Zoucha, and Todd Owen. More kids throwing gang signs….